The kitchen is the heart of the home, so it’s fundamental to make it a place where all the family enjoy spending time together. Creating a welcoming atmosphere relies on maintaining a warm environment as the kitchen acts as a hub for the rest of the home. There are a number of heating solutions available to create the perfect refuge, from modern underfloor heating to traditional radiators. Radiators offer a timeless and popular means to heat the home. The column radiator in particular has experienced a huge resurgence in popularity in recent years. Its ability to suit a wide range of applications and attractive design makes them the perfect heating solution. The great variety in column radiators allows you to choose a style to fit into any space in the house. This is particularly important in the kitchen. The increased demand for this style is due to its traditional and robust appearance which seamlessly transcends both modern and traditional styles. Column radiators exude durability with classic charm. 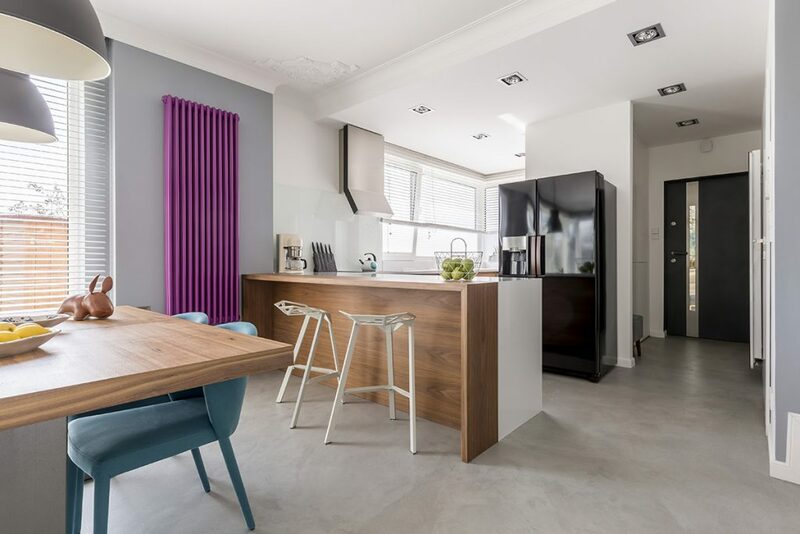 Highly versatile, the robust structure creates a characteristic focal feature for the home and is the perfect alternative to the standard panel radiator. Available in a variety of sizes and heights, the column radiator offers a focal feature due to their attractive appearance. Take advantage of our pre-Christmas sale and get FREE nominated delivery on our Trade Range Radiators, which includes a great selection of column designs. Hurry – this offer is only available until midnight on Thursday December 21st! A plinth heater is a perfect option for homeowners seeking a minimal and uncluttered kitchen. They are the ideal space saving solution as they don’t take up much needed wall space, meaning you don’t have to compromise on storage or work top space. They fit into the base of a kitchen unit and produce instant heat once switched on. You can control plinth heaters from the unit itself or install a handy wall mounted switch at an accessible height for everyone. Plinth heaters produce warm air which is then distributed outwards through a grille at your feet. The most popular models are Hydronic systems as they offer more flexibility in heating. 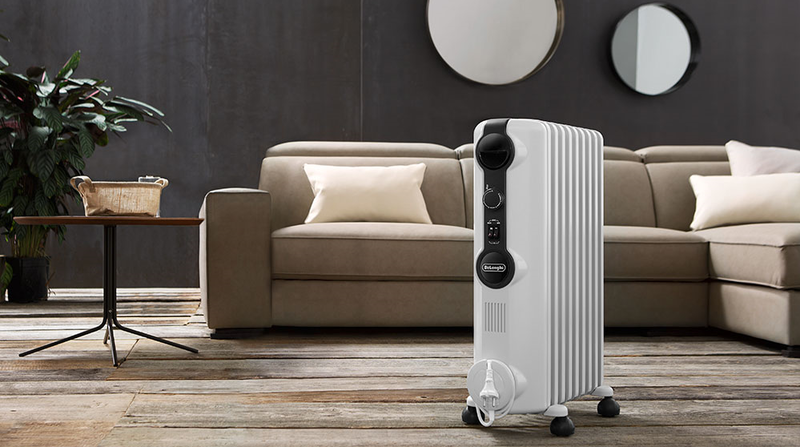 Connecting to your central heating, the Hydronic heater uses an electric fan to distribute warm air. These heaters are great for warming up your floor and are a cheaper alternative to underfloor heating. Electric only models are also available. If the Hydronic Plinth Heater sounds like the perfect addition to your kitchen, why not take advantage of our great deals this December! With every Smith’s Space Saver purchase until January 1st, you will receive a FREE Wall Mounted Control Switch. This giveaway is only available with the Smith’s Hydronic range which includes the SS3, SS5, SS7 or SS9. Underfloor heating is often considered a luxurious addition which costs a great deal to power. However, through innovative developments it is now achievable to heat efficiently with a modern system. The general overall heat emission from the floor creates an even temperature. This therefore makes underfloor heating a highly efficient alternative for the kitchen. As it warms the entire area from the ground up, underfloor heating eradicates the unpleasant experience of stepping onto a cold floor during winter. The almost invisible feature of heated floors makes it ideal for kitchens with limited space or for those wanting minimalist design. 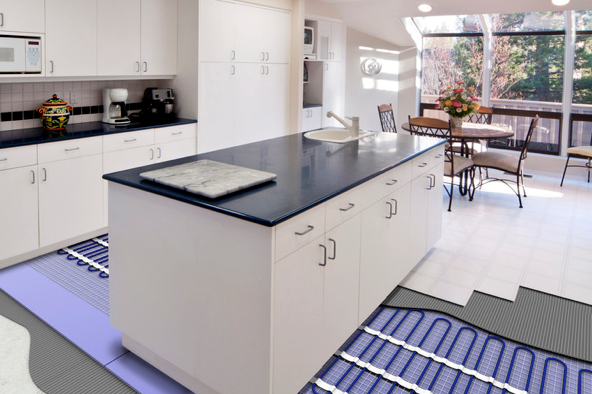 There are two types of underfloor heating; wet system which uses pipes to circulate hot water from your central heating, and electric which uses heating mats placed onto the subfloor. Create a toasty atmosphere with a hearty fire from your wood burner or electric stove in your kitchen. These popular fires are a great way to efficiently heat your home and create a beautiful design feature for any room. Available in traditional wood burning or multi fuel stoves as well as electric, stoves have become an accessible accessory for the kitchen. You may assume that multi fuel stoves are only found in large houses in the country. However, modern developments such as clean burn technology mean these stoves are now easier to use and maintain. The multi fuel stove offers a choice of fuels so you have the options of wood, coal and paper, giving you more control over your heat output. Electric stoves provide a similar cosy atmosphere ideal for those with kitchens that have limited space. A stove will definitely add the wow factor to your home.